I have to admit I use Photoshop templates from other creators. While I understand the principle in creating them, I seem to be "drawing & cutting" impaired when in comes to creating my own templates..shirts are the worst for me. I think a lot of my issue may be I simply do not know enough of the "ins and outs" of the myriad of features within the program to overcome this issue. Photoshop has so many options and different ways a person can approach a problem it is mind boggling. In my humble hobbyist opinion, Photoshop has to the a graphic artist's best friend with all it can do. As I stated above, I can't draw well (learning though) and do buy templates from other creators to use when making clothing for personal use or to sell. Oftentimes, I will combine template elements to create something new. Anyone that has tried this knows what a nightmare it can be with repositioning, nudging here and there for seams to fit, etc. 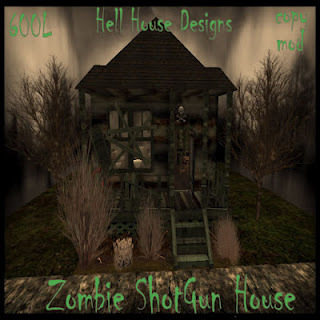 I wanted to share Hell House Designs newest offering to Second Life Residents. It was uploaded tonight to Market Place and placed at on Villevotte for sale. Pictures will be posted once they are finished showing the interior and furniture items. I want to send out a HUGE THANK YOU to Mysteria Callisto of POST MORTUM PRODUCTIONS for taking the time out of her busy schedule to shoot and process the photos for this build. Just look at all the that is included for a measly 600L! You can't buy a single animation or a good texture pack for that price! This dark flavor-enhanced New Orleans Style Shotgun Shack is a great addition to any Dark RP Sim, Urban Grunge, City, Vampire, Goth, Halloween, Zombie Area, or just as a unique Home to live in. During those hot and lazy days of summer, we at Plaine Jaine have been very very busy...with significant job changes in the real world...we have been using what little free time we have to study design, monitor SL clothing trends to see where we fit now and in the future, tinkering with Blender, trying to figure out Word Press. Blogger, and web sites plus trying to get up to speed with CS6 Extended. We definitely keep busy. I am posting pictures of two outfits you may be interested in...Lil Purple Summer Dress and Nuit's White Lace Silks. While Fall is nearly hear, these outfits are still great inexpensive items and must haves! Both outfits are quality low priced items and are currently available in-world at our main-store on Villevotte. Nuit's White Lace Silks is also available on SL Marketplace with plans to upload LilPurple Summer Dress soon. This is a re-post from our Plaine Jaine Blog,which is being incorporated into the umbrella group of Hell House Studios for easier maintenance and to better serve ALL of our customers. 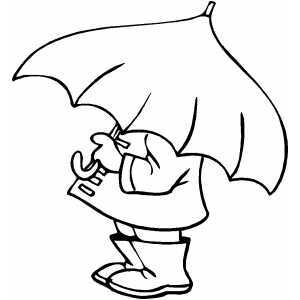 Welcome to Plaine Jaine's Blog! We recently opened our doors in the Villevotte sim, on the adult continent of Zindra in Secondlife. We offer simple, quality clothing at affordable prices that range from 29L to 199L without all the swag to clutter up your inventory. While our current line, as of this writing is a bit sparse, we are working hard to increase it as quickly as our RL/SL allows. Not only will we be offering women's clothing, we also plan on offering men's clothing as well. I am not sure how other creators come up with their creations, but for me, my friends are some of my best inspiration. One of our newest offerings was inspired by a longtime friend, Mysteria Callisto from Post Mortum Productions. For anyone that knows Mysteria, she is pure old school Goth through and through...I thought it would be fun to mix a few "normal" clothing items with subtle Goth hints to bring a new style to Secondlife. Mixing a leather corset type top/shirt with belted ripped jeans seems to be just the right combination for a toned down casual "Gothy" look. The corset top is cut in such a way it gives the impression of bat wings accented with blue rather than the traditional red or purple. A pair of black half boots with dark red heels and adorned with red crosses completes this outfit. Uuumm...sorry but there is not much of a layout to this blog. Hell House Studios is dedicated to many many creative endeavors. While it would be nice if there was some better way to organize things, I just do not have the skills at the moment to do so. Plus, if I spent all this time locked into organization nothing would be posted or shared with the world. There are so many exciting things to share with you, specially if you are a resident of Second Life. So, many things to learn and do it boggles the mind! So, I hope you will run a search and find a few things that are useful to you. If you have a site or another blog you think would enhance this site, please drop me an email! There are a lot of cool web and blog sites out there to help Second Life (SL) residents learn the fine are of making Sculpts and Mesh using Blender, Sculpt Studio and Mesh Studio. I want to point out a couple of nested sites you should check out. This composite site is run by a couple of really cool and wonderfully nice people. Eleanora "Ele"Newell and Fox Obviate, who run/own Tama Products in Second Life. Both are such lovely people, and both have the patience of saints! I mean that quite literally. If they can put up and deal with all my newb questions on Mesh Studio, Sculpt Studio and Blender, I don't know what else would quality anyone for sainthood! I have probably would not have learned as much as I have about mesh and Blender if it weren't for for Ele and Fox, especially Ele. Ele is always answer questions in the Primstar/Blender, Sweet Mesh, and Sweet Sculpties group if available. It's that time of the year again SL Fans! Yes, Halloween is coming and now is the time to get your haunted houses set-up, spiff up your RP sims, and your schedule all those costume parties! Oh, you don't have any Halloween items? Wish you had some cool Zombie stuff? Like something that reminds of Silent Hill? Need someone dark and macabre? Want to spruce up that old furniture you have? Or, maybe you just want something diabolically humorous? I have just the place for you. 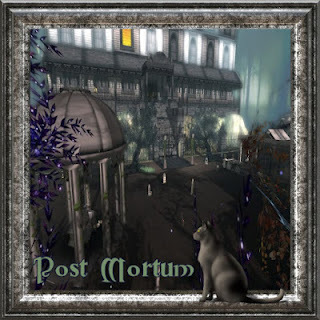 You just have to check out Mysteria Callisto's Post Mortum Productions. Mysteria is a pretty cool person and has been in Second Life for over 6 years. She is not some fly by night new builder that will take your money and run. 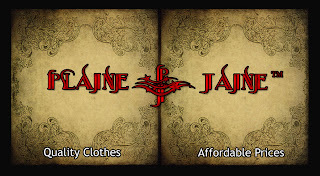 She offers quality items incorporating animations and sound for some of the spookiest items at low prices. She has the coolest stuff for the scariest Halloween yet! Here are a couple of her newest releases in her Zombie Line. After experimenting for nearly a year with various forms of blogs and toying with website creation, we have decided to combine our efforts and work with Google's Blogger. We still find this blog creation a bit complex for a new learner. 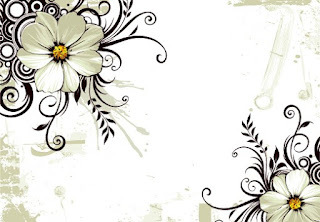 Blogger seems to be the simplest and most intuitive of what we tried plus it is free! We did try the free version of Word Press (another very popular blogger) but, we thought it even less intuitive and much more complicated. I do have to say that Word Press does have more prepared "Theme" options and the ability to make more adjustments for a better looking blog. It also seems that Google's Blogger has few widgets/gadgets that can be included. Those they do listed seem to be broken.